“Green Rebel – the Adventures of Kaptain Sunshine” (tentative title) is an Israel/Africa story. 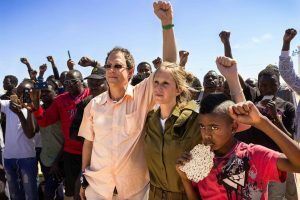 It will follow the visionary struggles of Yossi Abramowitz, AKA “Kaptain Sunshine,” to provide real, on the ground solutions to both global climate change, and to inequality in Africa. In the Jewish tradition, it’s called tikkun olam (“healing the world”). Yossi and his family immigrated to Israel in 2006, and soon after, Arava Power, his first Israeli solar energy company, inked the first deal to sell solar-generated electricity to Israel’s electric grid. His vision? For Israel to be a “sustainable Light unto the Nations.” Kaptain Sunshine had arrived. A few years later, his company finished the first commercial scale solar field in sub-Saharan Africa (in Rwanda) – it now supplies 6% of the nation’s energy needs. Touchingly, it is situated in Agohozo Youth Village (which benefits from the sale of electricity), where several hundred orphans of Rwanda’s own genocidal war study and live. We have been filming Abramowitz’s adventures for several months, and have exclusive filming access to all of his future activities. We are now entering a critical phase in documenting his story: Abramowitz’s Jerusalem company has signed deals with 10 additional African countries for solar fields and wind turbines (everywhere from Burundi to Ethiopia to northern Nigeria). But can obstacles of government corruption, violence, terrorism, and entrenched energy interests be overcome – to help bring green electricity to more of Africa’s 600 million people without electricity, and to replace the highly polluting gas and coal electric plants planned by the greedy multinational petro interests? 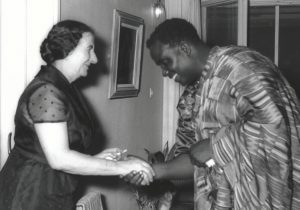 Golda Meir visited five African countries, in 1958, and she later wrote: “Independence had come to us, as it was coming to Africa, not served up on a silver platter, but after years of struggle.” Fast forward to 2018: Africa boasts 11 out of the 20 fastest-growing economies on the planet, has 700 million cell phones, and its billion-plus population will double by 2050. “Impact businessman” Abramowitz and his investors are betting they can do good, and be successful. At home in Israel, Yossi and his wife’s children include two adopted Ethiopian sons. Recently, his family has joined the fight for African refugees to not be deported from Israel. Abramowitz, always thinking outside the box, suggests that, instead of the refugees being sent back to their war-torn countries, Holot Detention Center should be converted to a training center for them in the latest Israeli water, agricultural and green energy technologies. (An additional supporting character will be Yossi’s wife, Rabbi Susan Silverman – “Green Rebel” director Stein documented her well-known struggle for women to be able to pray at the Western Wall). Your contributions now will help us continue to film our story for the next six months – both in Israel, and in several of Abramowitz’s upcoming trips to Africa. It takes a village to make an indie film! It takes a global village to turn the course on climate change. Thanks for adding your energy to our pot! We are excited to be slowly but steadily making progress with “Green Rebel,” our documentary project about the amazing solar energy visionary, Yossi Abramowitz. 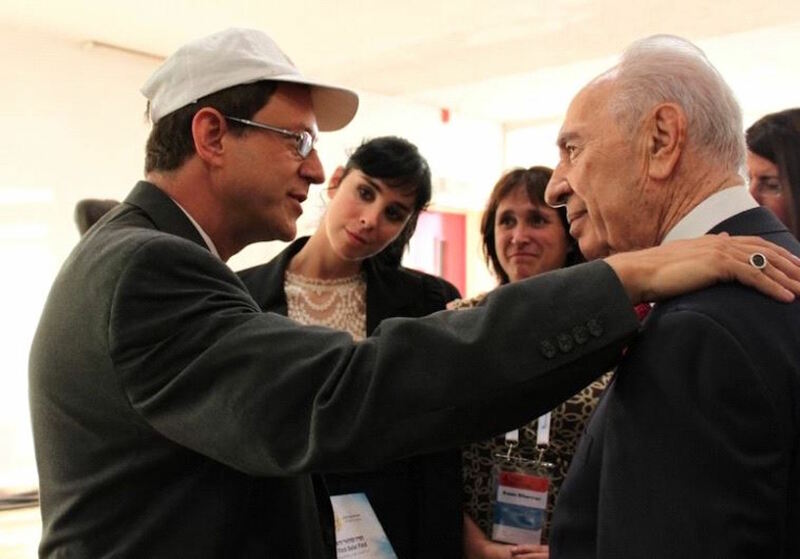 Your contributions have enabled us to continue to shoot Yossi’s activities in Jerusalem. Now we are at a critical phase – Yossi’s company, Gigawatt Global, is about to hopefully seal their deal with the government of Burundi, for Gigawatt’s second African field. We hope to accompany Yossi on his upcoming trip to Burundi, to celebrate breaking ground there for their solar field. Burundi is one of the poorest African countries: less than 3% of Burundians have electricity to light their homes, instead using kerosene and wood for light and heat. The indoor air pollution caused by these, kills over 10,000 Burundians yearly, 93% of them children under the age of five. 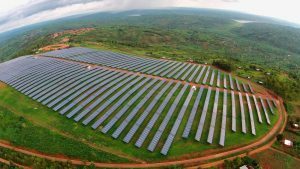 If Gigawatt can successfully bring solar generated electricity, it will benefit the entire Burundian society. 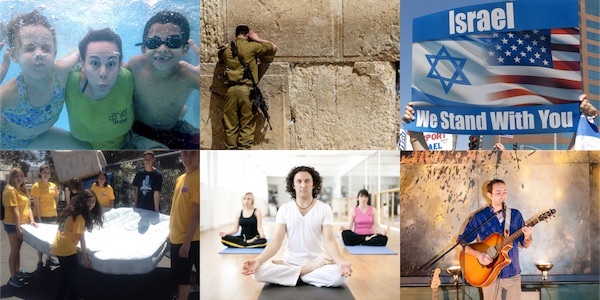 Our movie will help us document Yossi’s visionary efforts to contribute to “tikkun olam”, healing the world. Thanks so much for your help. We hope to finish “Green Rebel” in about 12 months – and then bring it not only to theaters around the world, but to present “impact screenings” in synagogues, NGO’s, government agencies, and environmental conferences – in Israel, North America, and elsewhere. Our movie can itself be a contribution to inspiring and educating people about the possibilities of green energy at this tough time globally. We haven’t written an update in awhile. We are slowly making progress on our documentary “Green Rebel”. 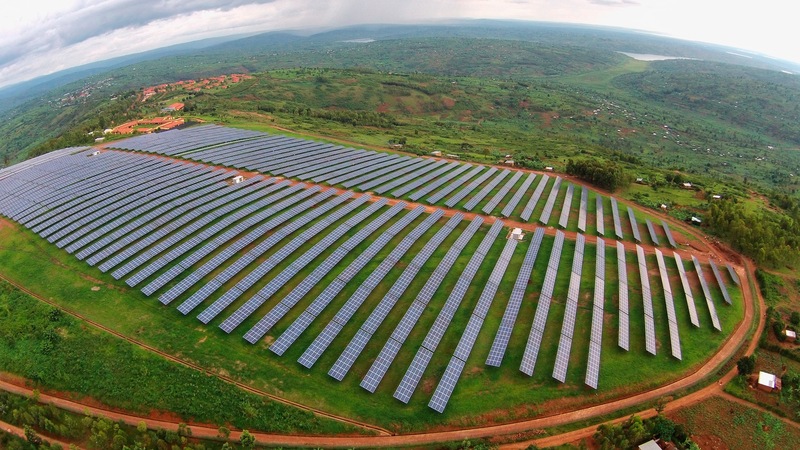 It’s looking like Yossi Abramowitz’s company, Gigawatt Global, will soon seal a deal for a large solar field in Burundi (one of the poorest nations in Africa). We are totally excited about this development, and yes, we will be traveling there with Yossi, to video the groundbreaking in Burundi, when it happens. Yosef’s company is also doing several projects – shhh! – involving Palestinian communities. These are very delicate publicity-wise, and show how Abramowitz is such a master at providing clean power to needy communities, in spite of incredibly complex political situations. Thanks so much for your recent contribution to our “Green Rebel” project, about the amazing work of Yossi Abramowitz. Yossi will be at AIPAC in Washington, D.C. in early March, so if you happen to be there, you are welcome to go up to Yossi and say hi! "Keep up the good and important work, Mr. Abramowitz!" "You are our shine sun Our beautiful shone sun You make us happy when skies are clouded:-)"
"Thanks for bringing safe renewable energy to Africa." "Thank you guys! Susan in Texas :)"
"B'hatzlacha! Sounds like a great project. I look forward to having the group Skype with my congregants, a few of whom have met Harvey." "Good luck! This man's work should be publicized--we need this so much! Good luck Harvey and team!" "looking forward to being in Jerusalem and experiencing Israel and all it's miracles"
"I am looking forward to seeing the film. The work of Captain Sunshine is world changing. It is an inspiring story that needs to be told. Let the Sunshine in!" "Mazal tov, Yosef and Susan!" Harvey Stein (director) - his last feature documentary was "A Third Way - Settlers and Palestinians as Neighbors", about the inimitable Rabbi Froman, Ali Abu Awwad, and others. He's incredibly excited to be working with Yossi Abramowitz on this film, telling a story with global significance. ************************************************************* Gidi Avivi (producer) - for more than 20 years, Avivi has produced successful Israeli documentary, fictional films, and TV series, many of which have been co-productions with other countries. His 2014 film, ”East Jerusalem, West Jerusalem,” followed the making of Israeli musician and peace activist David Broza's hit album of the same name, and is now streaming on Netflix. A postcard with a still from our movie, signed by Yossi, and mailed from Jerusalem. Your very own refridgerator magnet with an image from our movie, or large decal with our logo. Yossi's "Sun swirl" yarmulke (kippo). And thanks in movie credits. T-shirt with our "Kaptain Sunshine" logo, or baseball-style cap with the same. Also thanks in our credits. Your choice: a decal or fridge magnet, the sun kippo, and Tshirt or cap. And thanks in our credits. 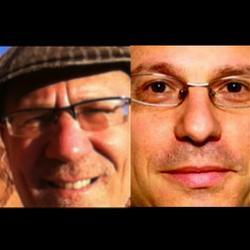 Group Skype with Yossi and Harvey, a Tshirt or cap, and thanks in our credits. Come with your questions and hear about the latest activities of Kaptain Sunshine. Available only in Jerusalem or New York City, based on Yossi's availability. Enjoy a wonderful shabbat dinner in Jerusalem, or a restaurant dinner with them in New York City. Also Tshirt or cap. Also thanks in our credits. A small group tour of the solar fields at Kibbutz Ketura in the Negev (Yossi's first solar field), and dinner afterwards. Also Tshirt or cap, and thanks in our credits. Credit as "Associate Producer" in our film. Also includes dinner in Jerusalem or Washington, DC., or tour of solar field and dinner at Kibbutz Ketura, and your choice, Tshirt or cap. And thanks in credits. Credit as "Executive Producer" in movie, dinner with Yossi and Harvey (in Jerusalem, Kibbutz Ketura, or New York City), and your choice Tshirt or cap. And big thanks in credits.